5, 4, 3, 2, 1 Blast Off! 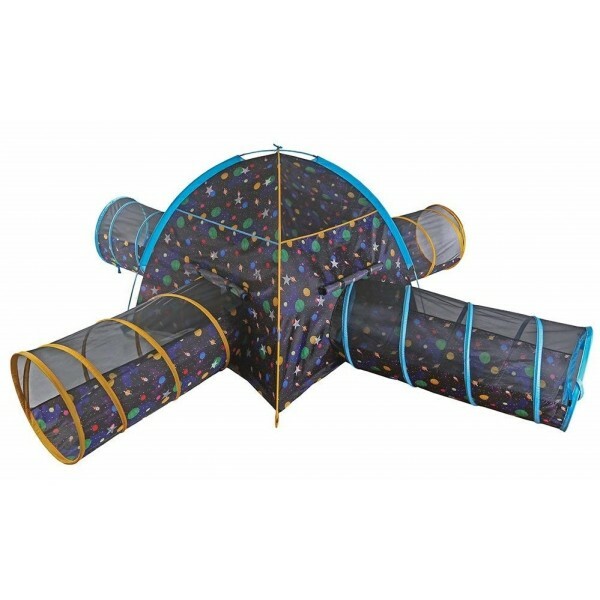 This space-themed tent and four tunnel combo features great graphics and easily accommodates 3-4 children. The two pole dome tent is 48" square at the base, and 42" high, and comes with four 4-foot tunnels that are 19" in diameter. 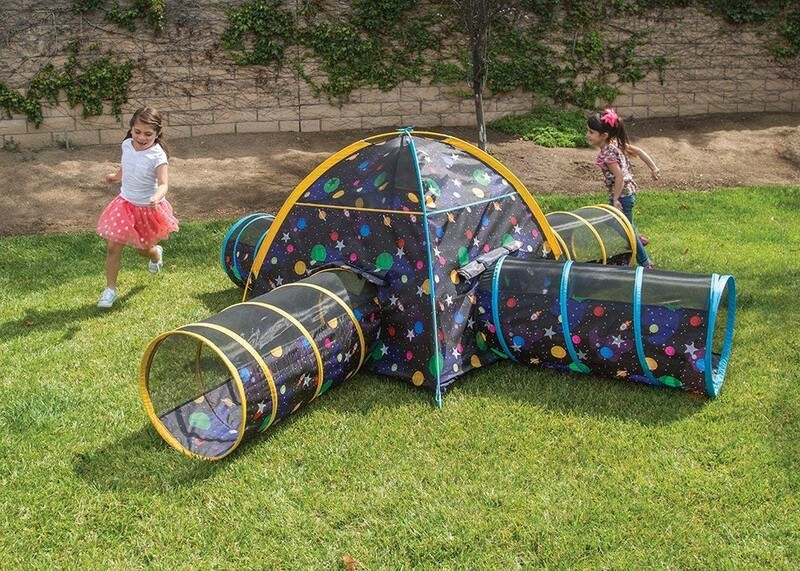 Since the tent's floor is waterproof, it's perfect for indoor and outdoor play! 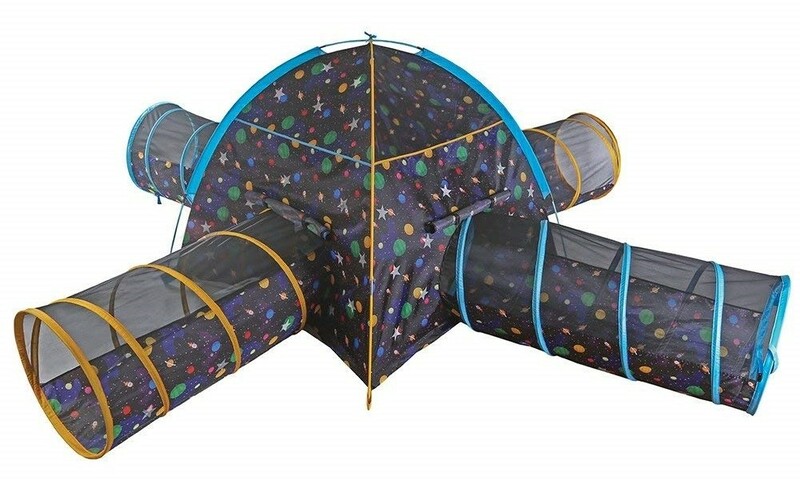 This set comes with the tent, four tunnels, and a bag for transport or storage. For more fun spaces to inspire creative play, visit our Indoor Play Spaces Collection.